Growing up, I loved having a birthday that often fell on (or very near) Memorial Day. It felt like the entire country was celebrating with me. It meant a special cake with the BBQ. It meant everyone was off work and all our friends and family could gather. It meant red, white, and blue decorations along with birthday balloons. I was a child born and raised during a rare period of time in this nation’s history that was relatively peaceful. I loved my uncles and grandfather who had served during their respective wars. I understood and appreciated their sacrifices. But even though I considered myself a patriotic little girl, that was all that Memorial Day meant. Today it means more. So much more. Today, I am the wife of a wounded warrior. Today, I am a grown woman who has cried as loved ones have gone off to war, prayed for their safe return, and mourned when they did not. Today, I finally understand what Memorial Day means. Today, I also celebrate my 37th birthday. It’s hard to celebrate your birthday when the country mourns the deaths of heroes. Yet, the sacrifice of those heroes gives me so much more reason to be thankful for the life that I have to celebrate. It’s a bit of a paradox. It’s bittersweet. It’s beautiful and tragic. It’s my reality today. I was born during a time of peace but I live during a time of war. We remember by setting a special place of importance and memorial in our home for the fallen that are not able to join us around the barbeque grill today. 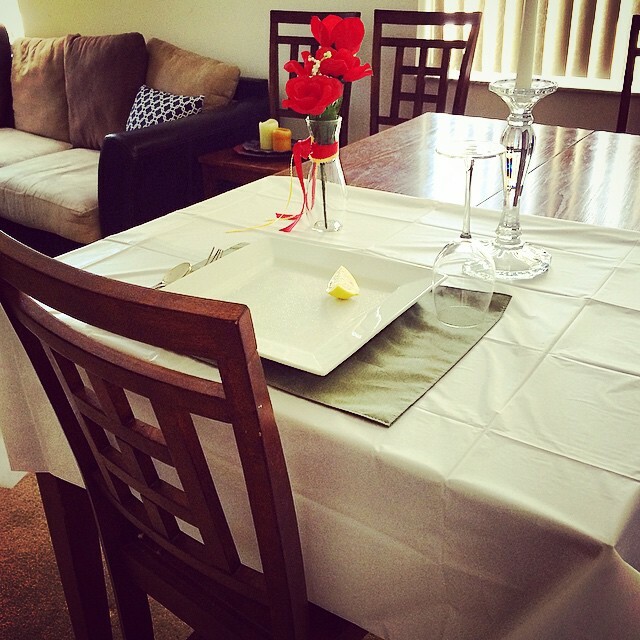 The table is set for one, reminding us of the significance one life can make. The table cloth is simple and white as it represents the purity of their intentions to respond to their country’s call to arms. 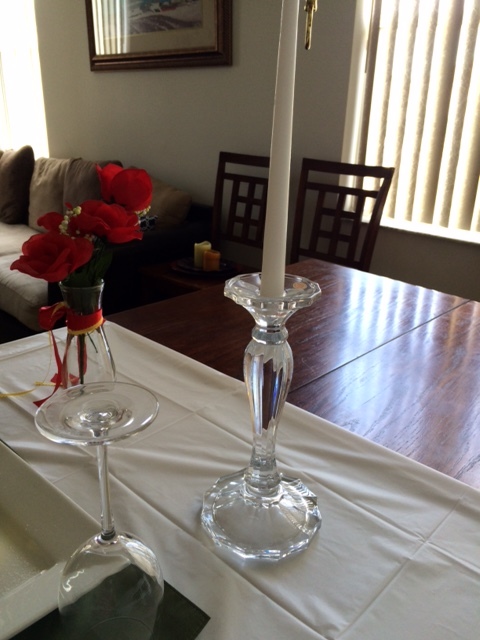 We place a white candle on our table, to represent the light of hope. We know our one true hope is in Jesus Christ. 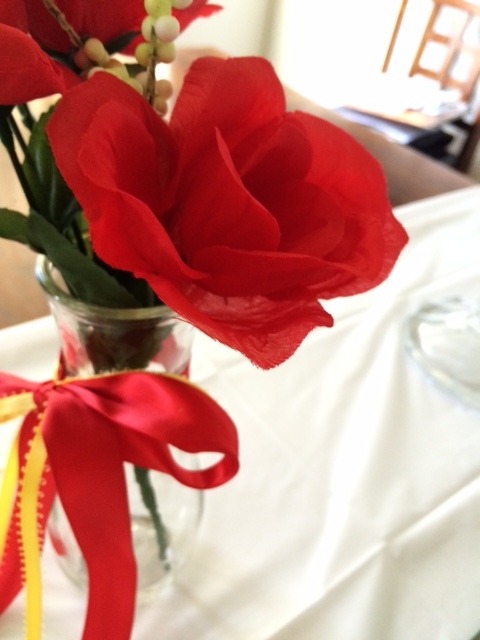 We place red roses on our table to remind us of the families who mourn their loved ones today and of the blood that was shed in sacrifice to ensure our freedom. We tie a red and yellow ribbon around the vase because yellow represents the loyalty of the families who have waited for their loved one’s return and red symbolizes the memory of and search for those missing in action. 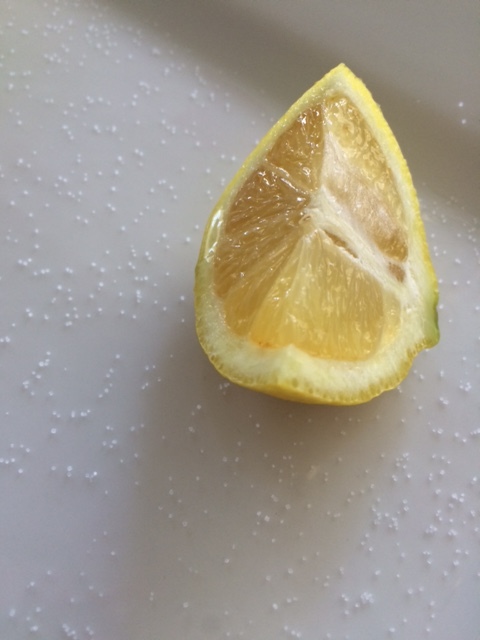 We place a slice of lemon on the plate to remind us of the bitterness of the fate of those who are not able to be with us. We sprinkle salt on the lemon and the plate to represent the countless tears that have fallen from the eyes of friends and families. 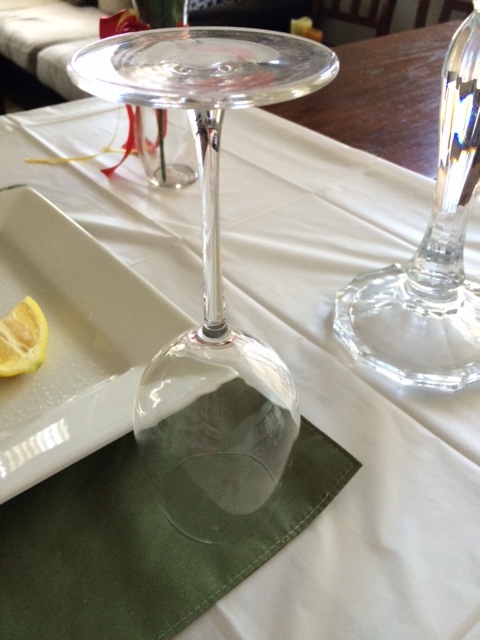 We invert a glass to remember that the fallen are not able to partake in our celebration today. 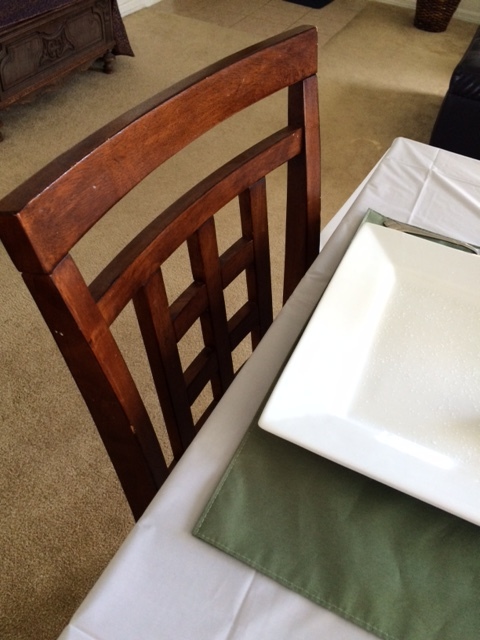 The empty chair at the head of our table reminds us of the special seat of honor that these heroes will forever hold in our hearts. The Fallen Comrade Table (often called the Missing Man Table) is almost always displayed at special military dinners. 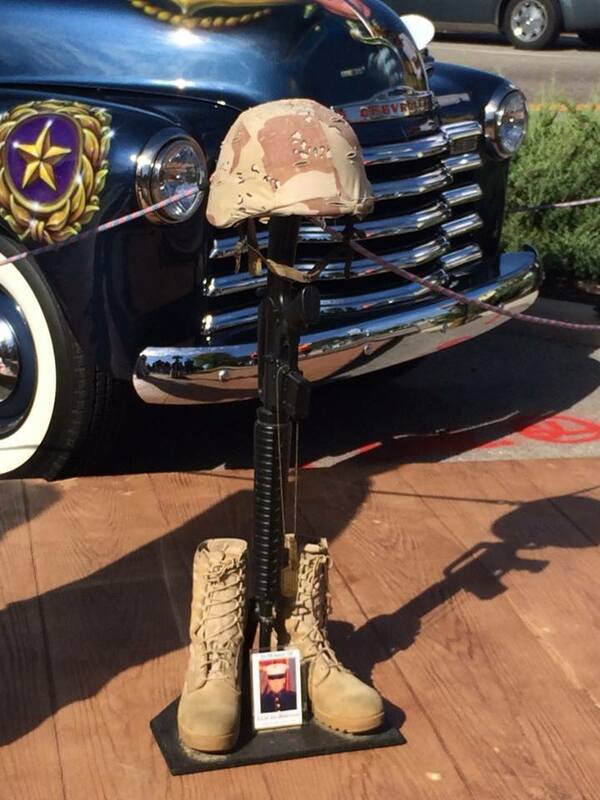 Every military ball or Dining-Out I’ve attended has given special honor to those no longer with us. But I also know of countless military, Veteran, and gold Star families who have Fallen Comrade Tables set up in their homes today. Why? Because the sacrifice of our heroes is to NEVER be forgotten.